See That There: freebies :: Counting is the new black! freebies :: Counting is the new black! 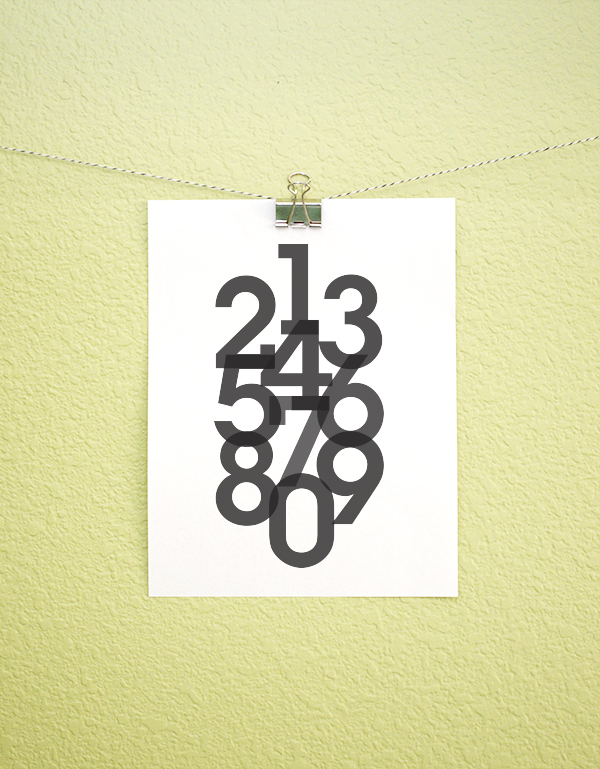 I have been working on adding art to my son's nursery walls, and have been looking for a fun numbers poster that's unique, modern and not too babyish looking. I have not been able to find exactly what I want, and since I recently realized that I can create things myself (see post about the beginning of Project Me) I decided that I'll just design it. After all, I did spend a good chunk of my life studying graphic design. Might as well put it to some good use and create a poster for my son. And, since I'm in a giving mood, I decided to give out a free printable of a slightly modified version. The download link is at the bottom of this post. Enjoy!